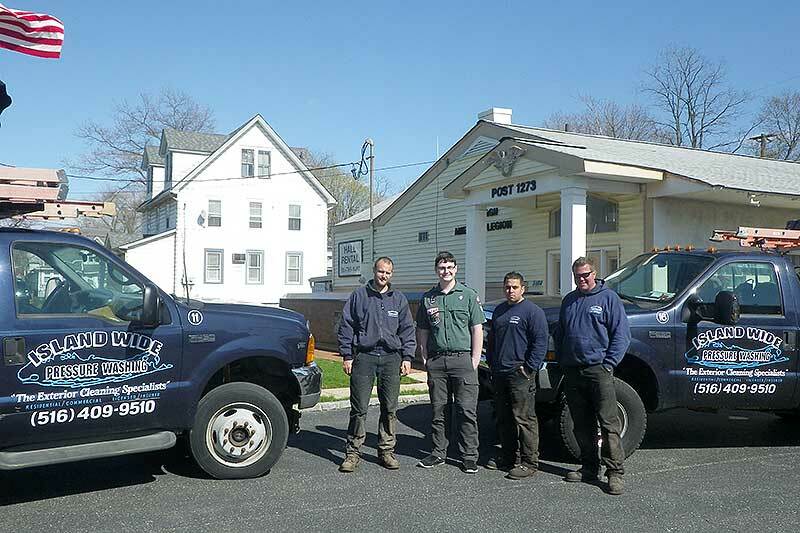 Island Wide Pressure Washing started out as a small pressure washing company over 20 years ago when owner Tom Rice first started the business in 1994. 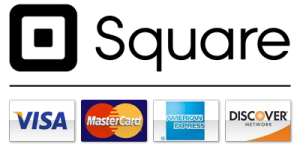 Over the years, Tom worked very hard to expand his business and he began to work on commercial jobs in addition to the residential ones. 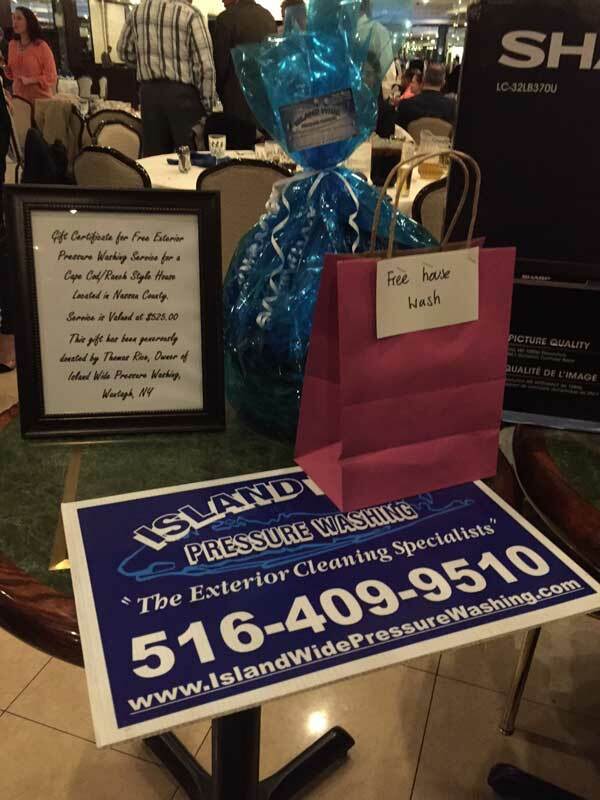 Now, Island Wide Pressure Washing is well known on Long Island and in the pressure washing industry and Tom is very thankful to his local community customers for helping him get his start in the business. As a way of giving back to the community, the company has donated pressure washing services to local school fundraisers and charity benefits. 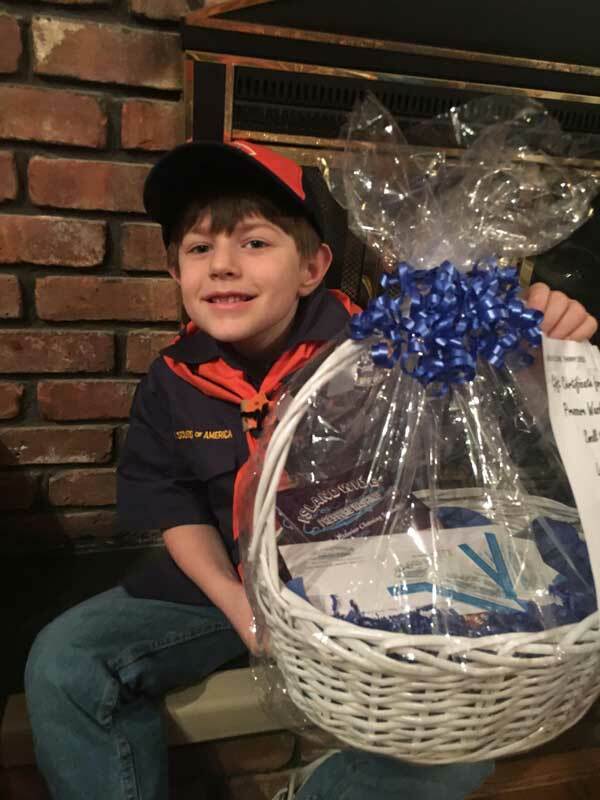 In April 2015, Island Wide Pressure Washing was contacted by Boy Scout Taylor Woodard and his father Art asking for an estimate to pressure wash the exterior walls of the American Legion Hall in Wantagh. 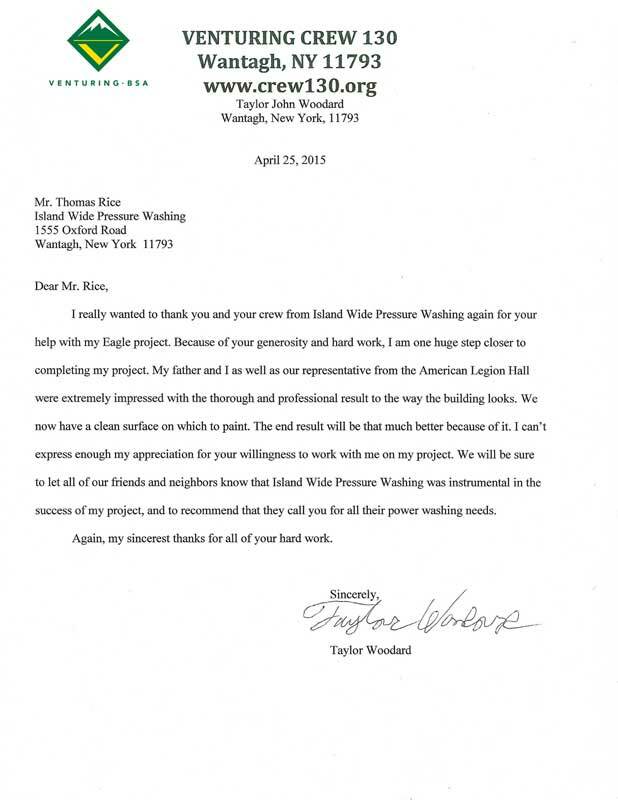 They explained that Taylor was working on his Eagle Project which was to paint the outside of the hall. However, they realized it would first need to be pressure washed before the caulking and painting process could take place. 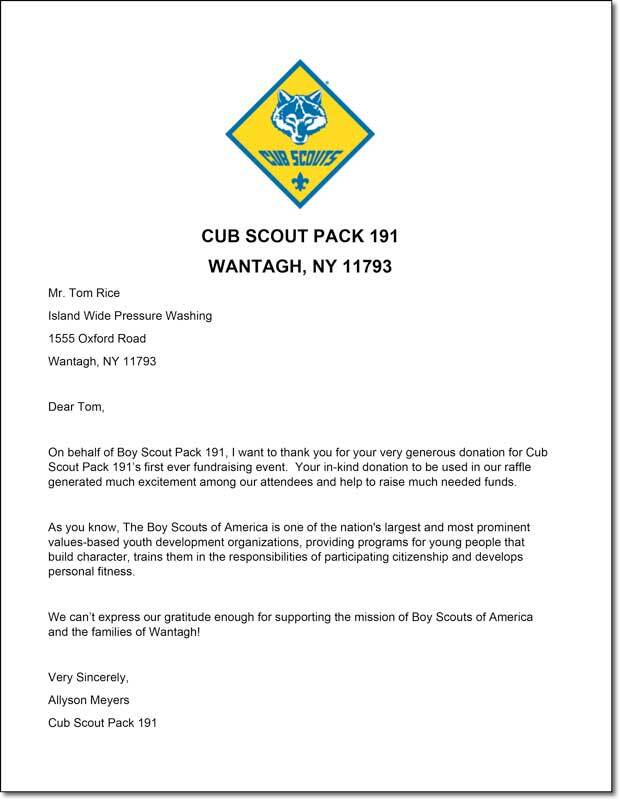 Owner Tom Rice, a Life Scout himself, decided that he would wash the building at no charge in order to help a fellow scout achieve his dream of becoming an Eagle Scout.